I have been into eyeshadow makeup a lot recently. I have so many MAC eye shadows so I might as well make use of them! I never really bother wearing eye shadows everyday as I find my eyeliner helps me achieve the look I want also it is time consuming! The other day I had a Mehendi event to attend. Mehendi means Henna. 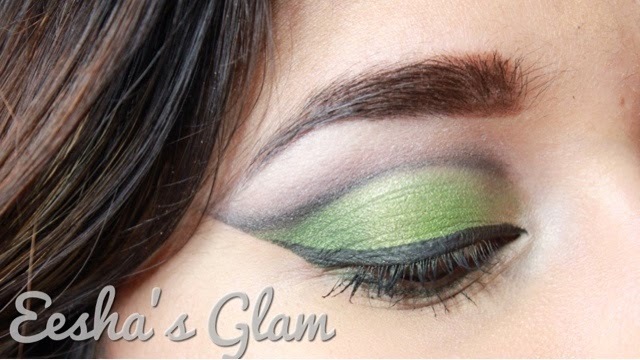 I went to an Asian Indian wedding and as the theme was green I thought I might as well go all out with a heavy eye look as everyone will more or less be looking the same! 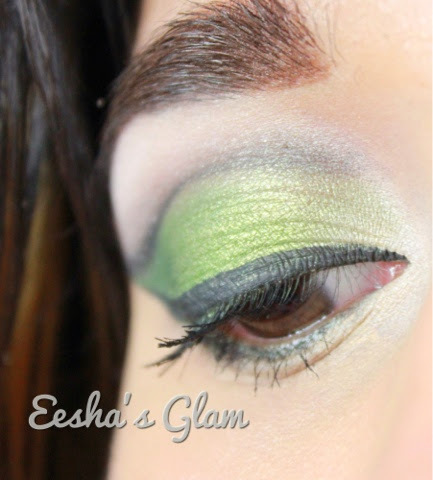 This is the look I created! I used Loreal gel eyeliner to cut my crease then used MAC eyeshadow 'Carbon' to blend the line out and smooth the edges. I then used 'Cork' as my transition colour right above my cut crease this helped me achieve a smoother look and helped the eyeliner blend out even further without looking too sharp. Next I used 'Humid' to create my outer V corner. 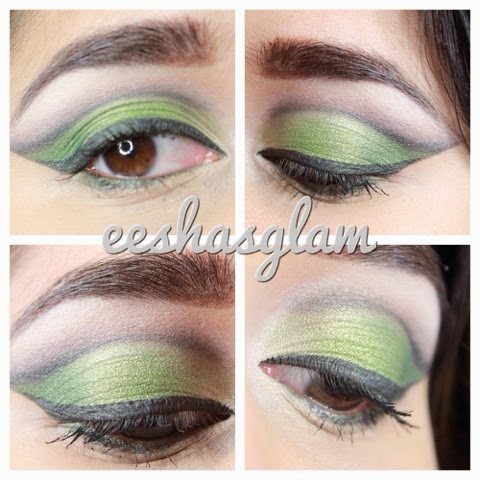 I also used 'Swimming' in the middle of my eye lid to make it pop. 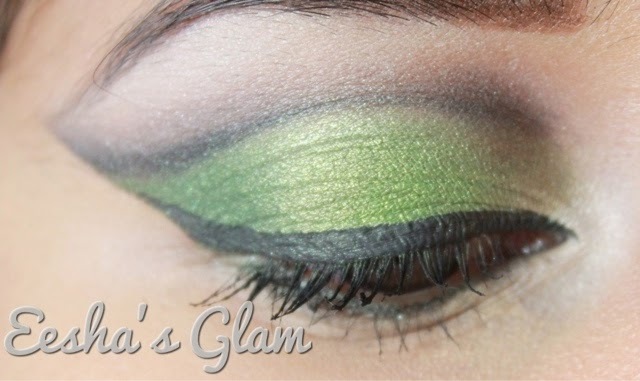 In my inner corner I used 'Ricepaper' to brighten my eyes up. I then used Collection 2000 liquid eye liner to line my eyes and used Loreal Volume Lashes Mascara for my lashes. I did not have any fake eyelashes at the time I took these pictures, so on my way to the wedding I picked some up just to give me that extra length and some volume as my natural eyelashes are very thin and short! I hope you guys have enjoyed my post and liked the look. 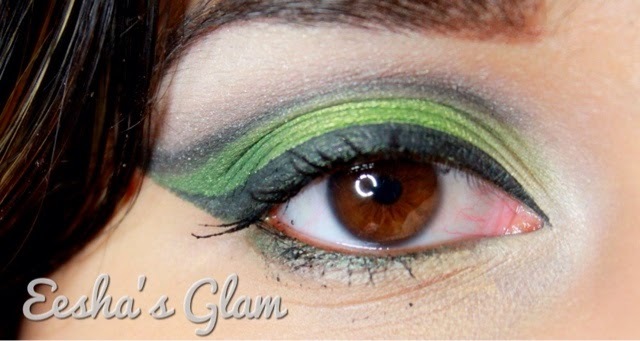 Let me know if you want to see any eye makeup in particular! This looks so good I had to leave a comment and let you know! I love the way that you've blended in the colours, it looks seamless! Aww thank you! Yes practice makes everything better!